Nova Pioneer is looking for superstar Pre Primary School Teachers for our Tatu andAthi River Campuses. The teacher will play a critical role in delivering an exceptional 21st Century learning experience for our students. This is an exciting opportunity to be a part of an innovative network of schools that is developing generations of innovators and leaders who will shape the African Century. Imagine a world in which every young person across Africa attends a school that truly sets them up for success in the 21st century. A school that cares about individual students and allows them to explore the world around them. A school that focuses more on developing skills than on memorizing content. At Nova Pioneer, we have done more than just imagine this future, we are bringing it to life. Nova Pioneer is a pan-African, independent network of schools offering high quality, accessible education from pre-primary through secondary school. 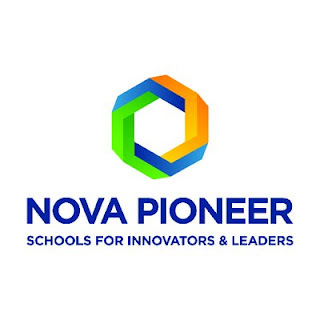 Nova Pioneer uses a unique, inquiry-based learning approach that encourages students to ask “why” instead of telling them the “what”. It allows them to form their own thinking through exploration, investigation and collaboration. Nova Pioneer currently has 6 schools in South Africa and Kenya with a vision to launch 100 schools and reach tens of thousands of students across the African continent in the next decade. To learn more visit www.novapioneer.com. Plan activities that meet the social, physical and emotional needs of the children. Develop scheme of work and lesson plans in line with the school curriculum. Schedule stimulating and learning activities for the children. Prepare teaching aids to facilitate children learning. Devise games and activities, and also provides playing equipment, and ensure the playing facilities and equipment are clean and safe. Supervise the children as they learn and play. Monitor and keep record/ reports of the children’s progress and development. TSC certification and Degre in Education/ Diploma in ECDE. 1 – 2 years teaching experience/ 3+ years teaching experience.